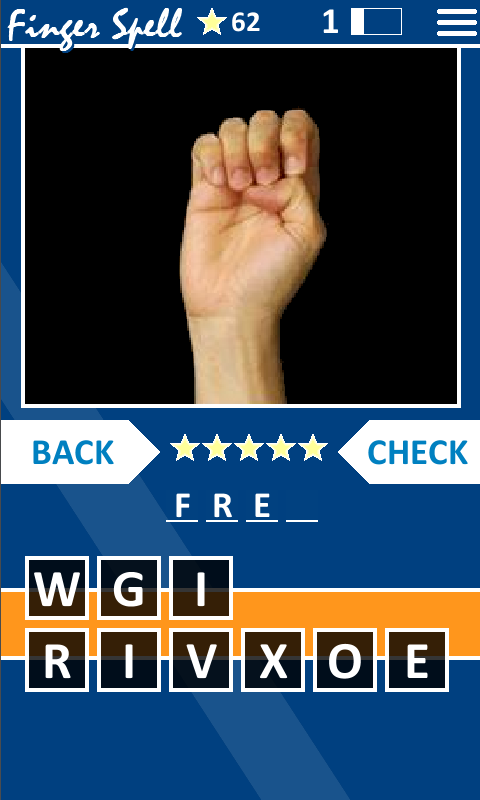 Learn ASL finger spelling in a fun interactive way. 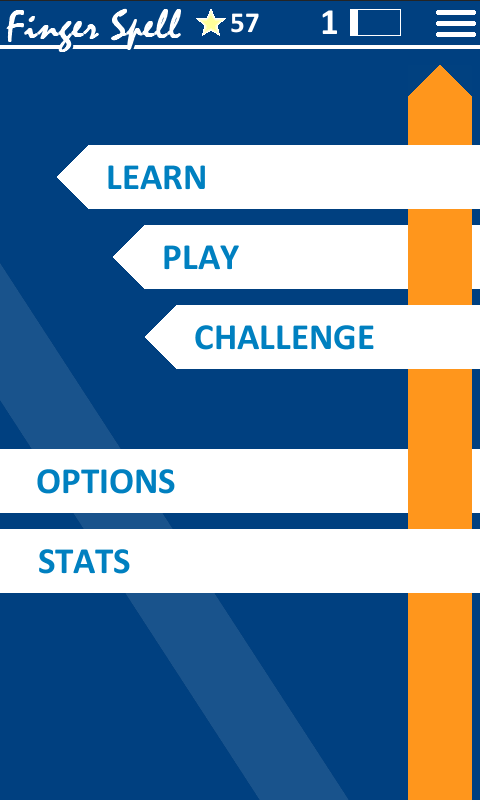 Unlock challenge levels and gain achievements through Google Play (Android Olny). 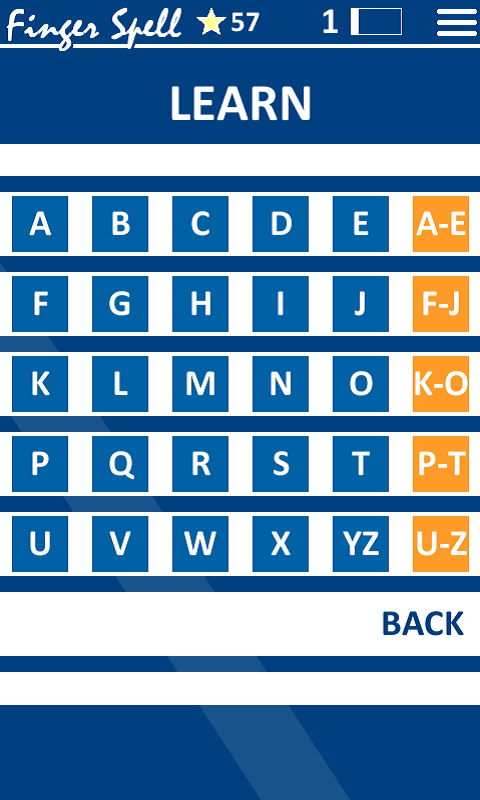 The game mirrors the "4 pics one word" game play style (jumbled letters with blanks). 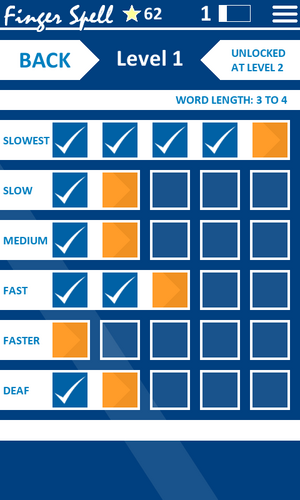 This app will adjust to your speed and help challenge you to increase your letter recognition rate. Every level you gain will increase the word length and every word you guess on the first try will increase your speed. 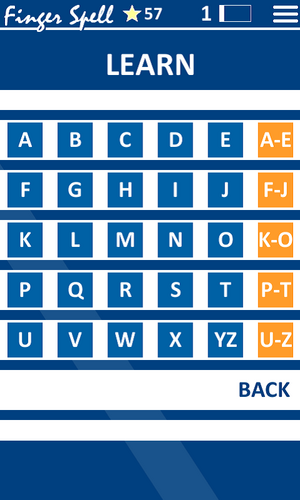 There are 7 different challenge levels you can unlock through leveling up. 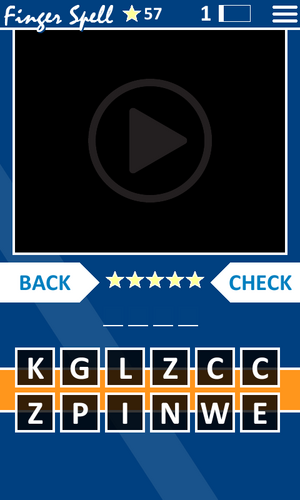 Challenge levels offer a different game play style to help you better learn ASL finger spelling. This app would be a great way to practice finger spelling. 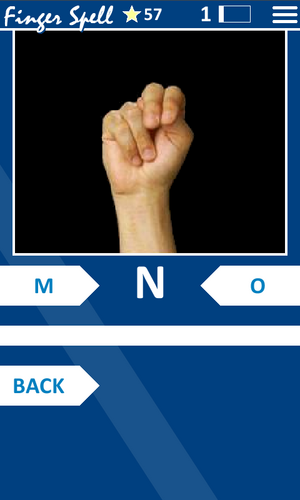 I decided to make this app free so everyone could enjoy it and learn to communicate with the deaf. 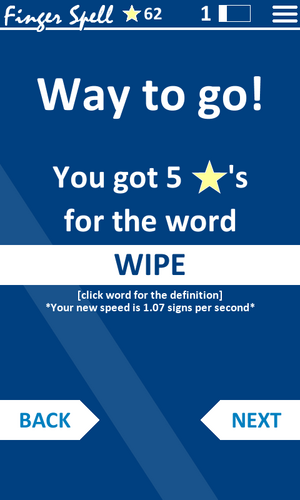 I am a teacher and I believe any student can benefit from this app (it will also give them the definition of words they don't know). It does include a small ad at the bottom simply because creating apps aren't free. If your school needs this app to be ad free please contact me and I'll see what I can do. Please share this app and rate it below. I read every comment and will try to make this app the best I can. 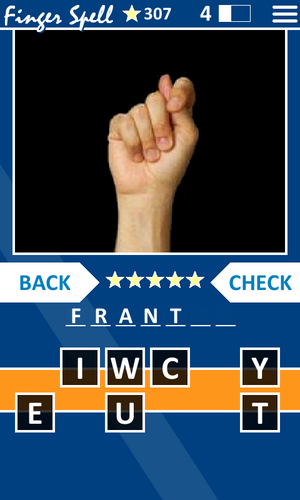 If this app is successful I'll consider making a similar one for BSL or any other sign language you request.